Aspire differently. 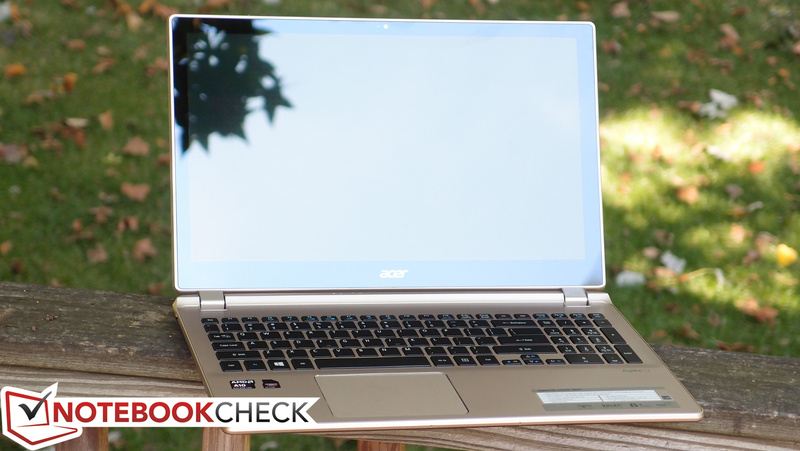 Acer’s latest Aspire V5 model steps back from the solid state drives and supreme battery life of most Ultrabooks in exchange for a heavier focus on graphics—all at an affordable price point. But was it worth the trouble? 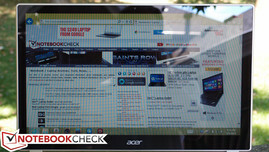 Acer offers no shortage of touchscreen Windows 8 “ultra-thin” models these days, and while they can’t all claim a piece of the Ultrabook branding thanks to various reasons (lack of SSDs, AMD vs. Intel CPUs, etc. 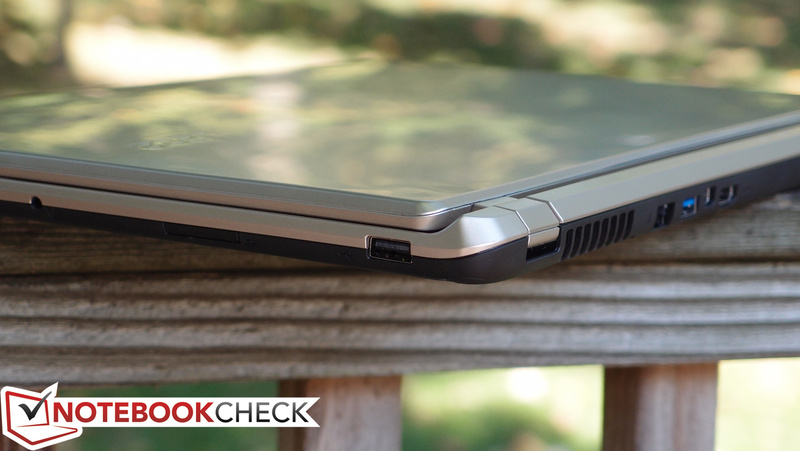 ), there’s a lot to consider for anyone in the market for an affordable ultra-portable model. Just a couple of weeks ago, we brought you our review of the Acer Aspire V7-582P-6673, an Intel Core i5 Ultrabook with phenomenal battery life and a price tag of $850. 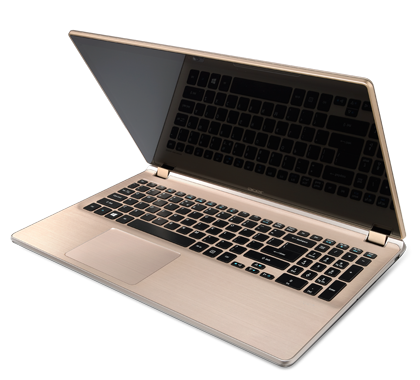 We were pleased with its remarkably good battery life, attractive design, and good application performance, as well as its great GPU performance and reasonable surface temperatures. Meanwhile, however, we were less than enthralled by its poor display, comparatively cumbersome size, and lackadaisical keyboard. But what if you were more interested in gaming performance and less concerned about battery life? The Aspire V5-552PG-X809 is one of the latest options, featuring an AMD A10-5757M quad-core APU with Radeon HD 8650G + 8750M Dual Graphics, 8 GB RAM, and a 1 TB 7 mm height hard drive, all for around $800 MSRP. This setup teases the gaming performance of a dedicated mobile GPU, while still maintaining a slim form factor and Ultrabook-like profile. But does it balance out to a good option in light of the changes? Let’s explore. 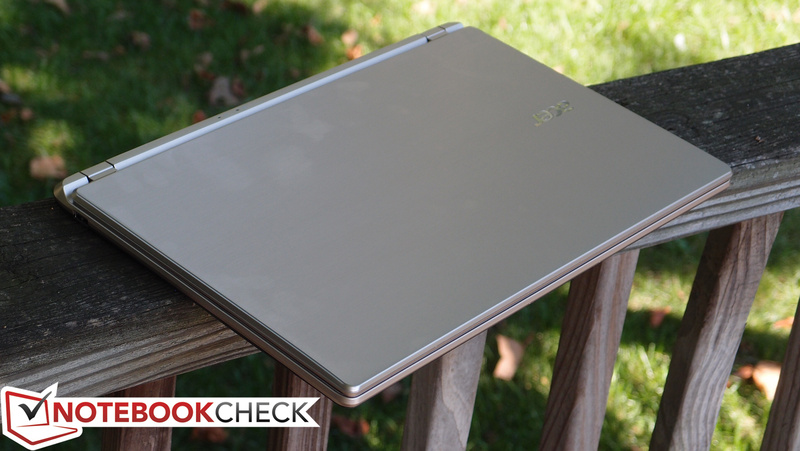 The Aspire V5-552PG’s case resembles that of its brethren with very few differences. It’s mostly plastic, with a brushed aluminum trim lining the display lid and the top of the base unit (a single piece of aluminum covers the palm rest and keyboard surround, giving the notebook a clean look in spite of its budget construction). Although it doesn’t feel like it could survive even a small drop, the rigidity of the base unit is at least commendable, thanks in no small part to the lack of any perilous empty space (such as is the case with models which include an optical drive). The bottom of the unit feels sturdy enough regardless of its plastic composition, and the four rubber feet do a good job of providing some degree of airflow underneath while still keeping the notebook stationary while in use on a hard surface. The plastic used here is not the nicer soft-touch variety found on the V7-582P, but rather a rough, hard-surfaced cheaper feeling type. The display lid, meanwhile, feels notably less durable, easily bending under moderate pressure (and displaying distortions on the panel in the process). In terms of the hinges, while they feel strong enough, they allow the screen to wobble annoyingly while typing or tapping takes place, something which we complained about on previous Aspire V models. When coupled with the glossy reflectivity of the display panel, it’s easy to be annoyed by the flickering and vibrating of reflected light sources. Which brings us to our next gripe: as with the V7-582P we reviewed, the same sort of “rippling” effect is also provoked near the edges of the touchscreen when tapped nearby. The V5-552PG is also a bit heavier than its V7-582P counterpart, weighing in at 2.288 kg (around an eighth of a pound more). 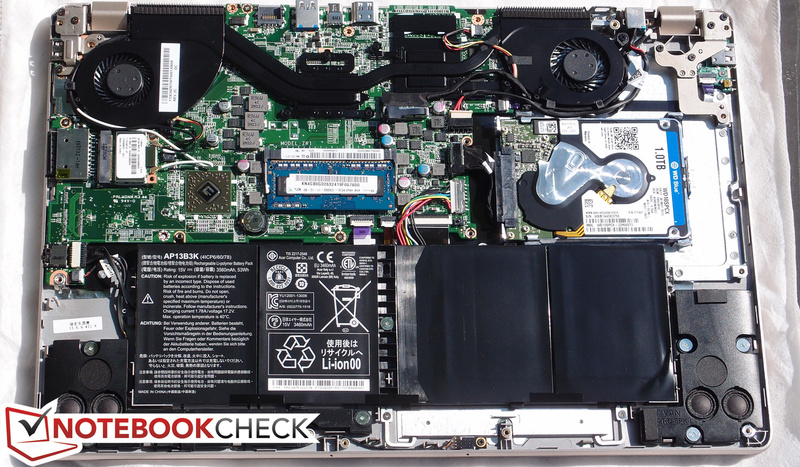 We had already admitted that we felt the V7-582P was large enough for an Ultrabook, but perhaps the fact that the V5-552PG is a full-voltage (35 W TDP) model helps to excuse this. 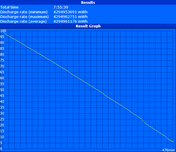 It’s also quite large in comparison to other models lacking an optical drive, at 379 W x 257 D x 24 H (mm). Maintenance on the V5-552PG is entirely possible, but pretty inconvenient. To access the internal components, seventeen Phillips-head screws must be removed along with the entire bottom cover of the notebook. 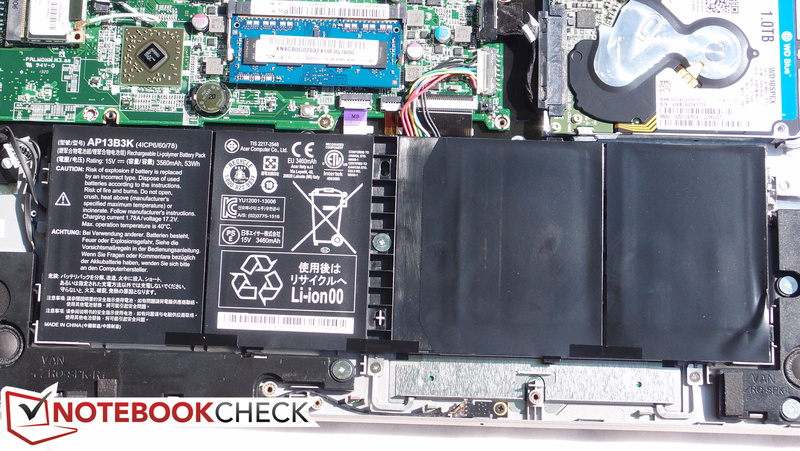 Fortunately, once you’re inside, nearly everything is accessible, from the internal battery to the RAM and hard drive. The V5-552PG’s assortment of ports is identical to that of other recent V5 models. We’re provided three total USB ports, only one of which is USB 3.0, as well as two different video output options (HDMI and VGA via Acer Converter Port). The latter video output option requires a separate adapter to connect to various devices (such as an external monitor or even a networking adapter). Interestingly, this cable is apparently not yet available for purchase. Acer’s own support FAQ, however, addresses the question of whether or not a standard DisplayPort cable and compatible device can be connected to the port, and the answer is a wishy-washy “probably, but it isn’t guaranteed.” Regardless, they also state that no harm will come of trying, so feel free to give it a shot considering the low cost of generic adapters. Our complaints remain the same regarding port placement, as most ports line the back of the notebook—with just one USB (2.0) port on either side of the notebook otherwise, along with the audio and SD card ports. The V5-552PG features a Qualcomm Atheros AR5BWB222 dual-band 2 x 2 Wireless-N adapter, which performed well during our informal testing. 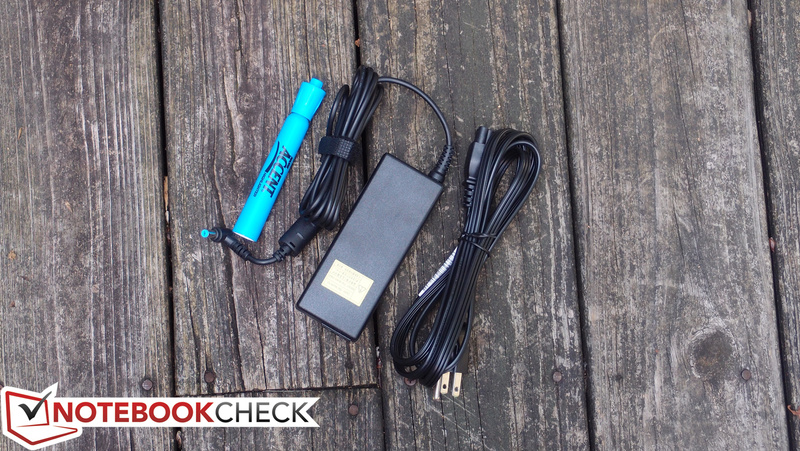 This adapter includes Bluetooth 4.0 connectivity as well for short-range device communications. 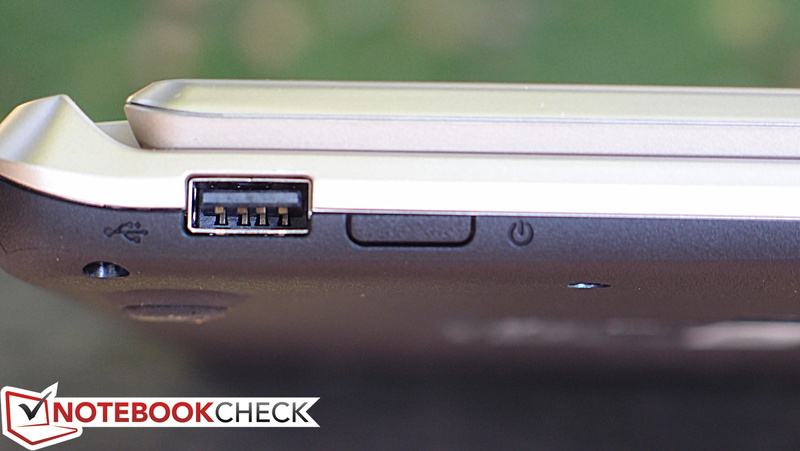 Qualcomm Atheros also provides an AR8171/8175 Gigabit Ethernet port (again, located on the back side of the unit). Rounding out the communication hardware is an HD webcam, which produces grainy video with a lot of noise, but gets the job done. 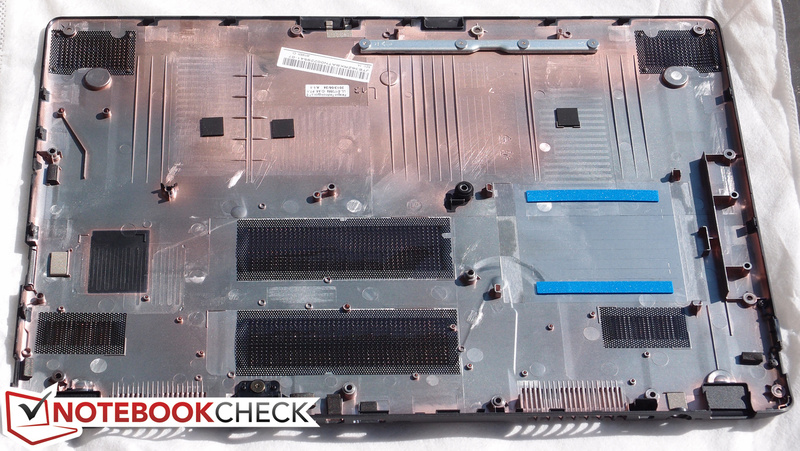 Although some Aspire notebooks come bundled with a Converter Port adapter in the box, our V5-552PG did not. Instead, we received only a moderately-sized 90 W AC adapter (LiteOn manufactured). 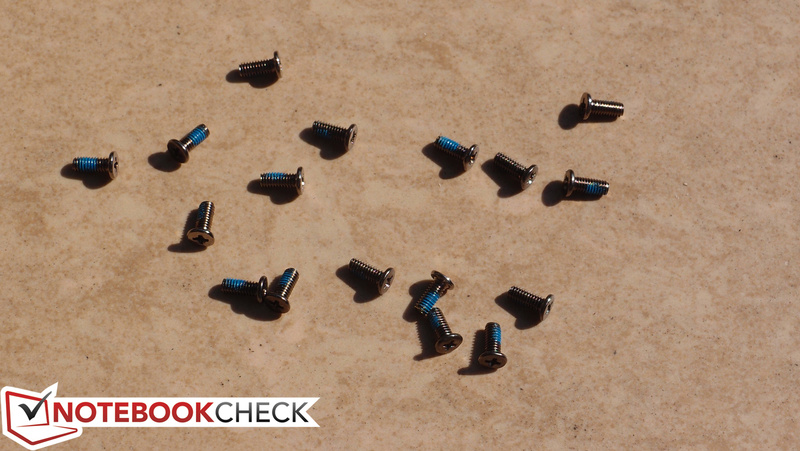 The warranty is a standard 1 year parts and labor (mail-in or bring-in). 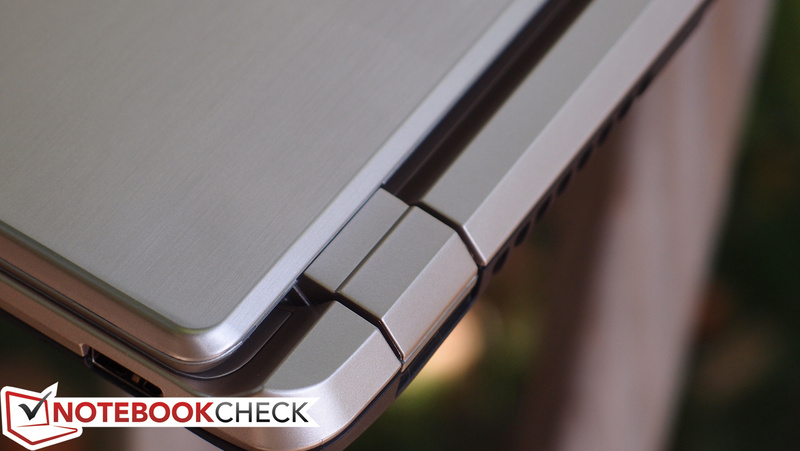 The touchpad is generally good. 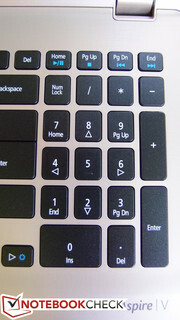 The keyboard on the V5-552PG is identical to that of its counterparts. It’s a Chiclet-style design with a full number pad on the side. 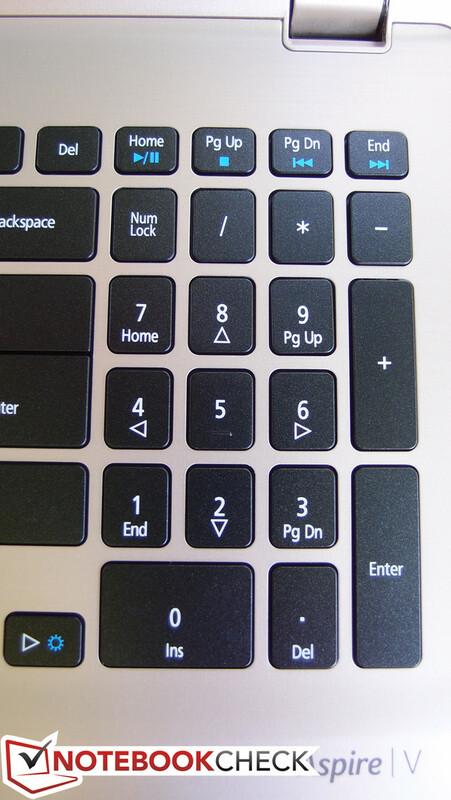 The keys provide no contour (they’re entirely flat) apart from the raised markers to indicate the home keys. While they’re spaced well and sized comfortably, typing is still nonetheless prone to errors thanks to the extremely short travel. Fortunately, a crisp stop helps to communicate some degree of feedback to the user, so hopefully it would be possible to adjust to the inadequacies of the design over time. 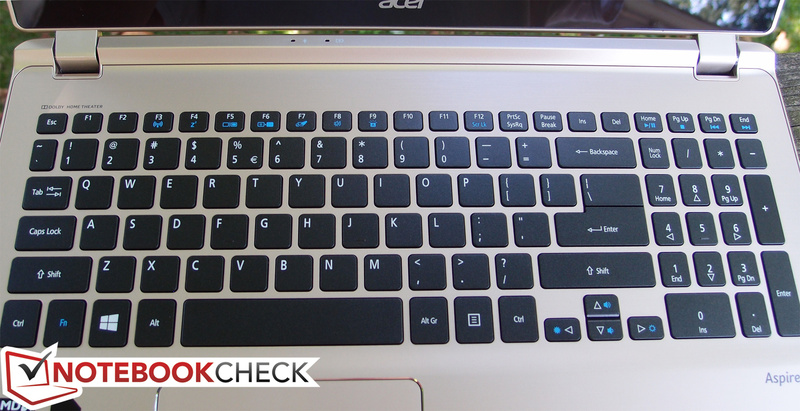 The keyboard is backlit, though it is accompanied by just one brightness setting. 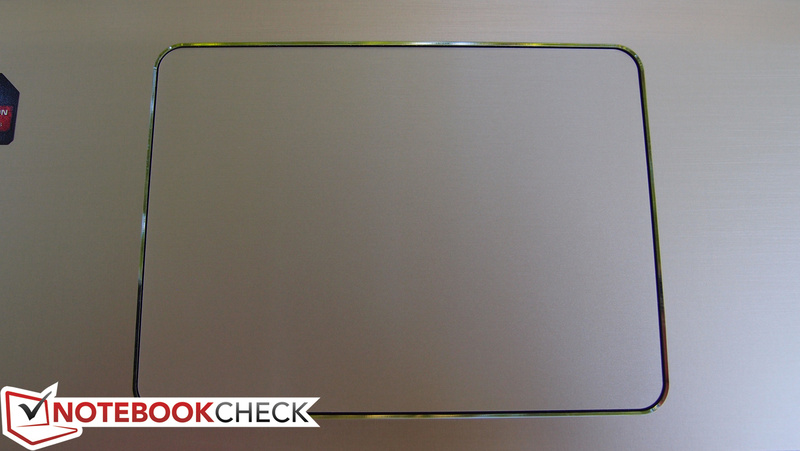 The Elan touchpad is generously-sized and features a comfortable, smooth surface. 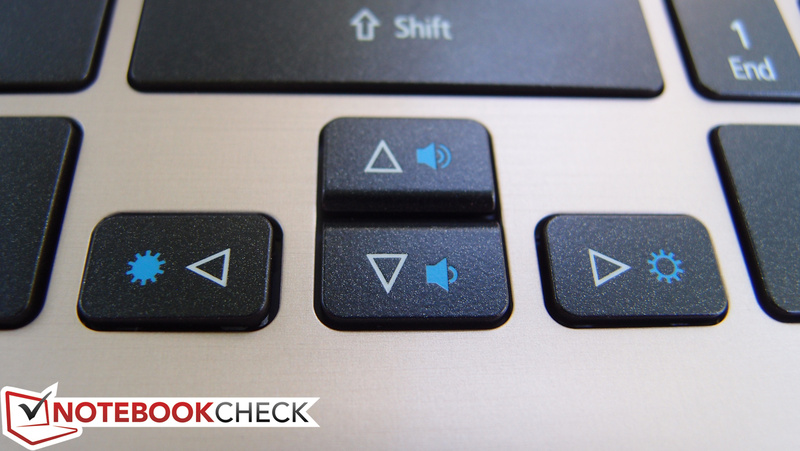 The touchpad performed well in our testing (driver version 11.6.23.203), effortlessly interpreting all of the gestures it supports, ranging from two-finger scrolling and zooming to edge swipes. The integrated buttons work fairly well also—although a bit of pointer movement does result when clicking on occasion, which is our only complaint. Fortunately, some tinkering with the driver settings can reduce the incidence of this occurring. 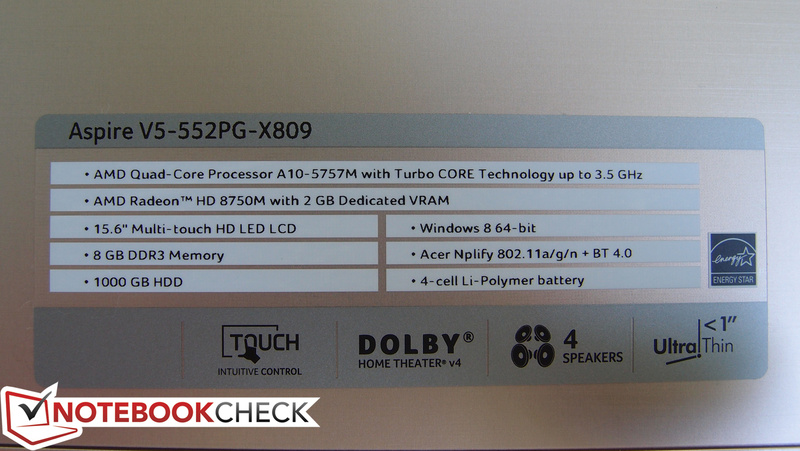 Of course, the final input method on the V5-552PG is the 15.6-inch touchscreen. 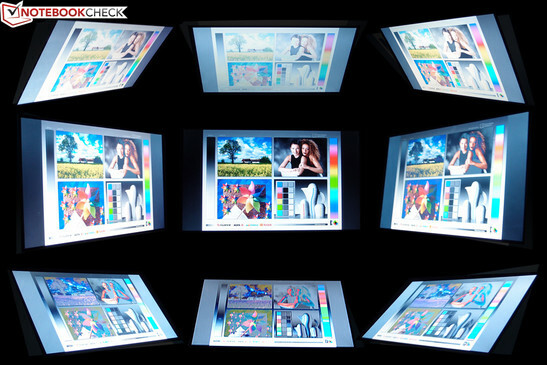 It supports 10-point multitouch and did a fine job of handling all ten fingers simultaneously, as well as interpreting gestures of all kinds. It’s admittedly tough to go back to a standard notebook after you’ve used a touchscreen model for some time, and the V5’s setup reinforces that sentiment. Unfortunately, while the touchscreen functionality is solid, the rest of the screen’s attributes are mediocre at best. 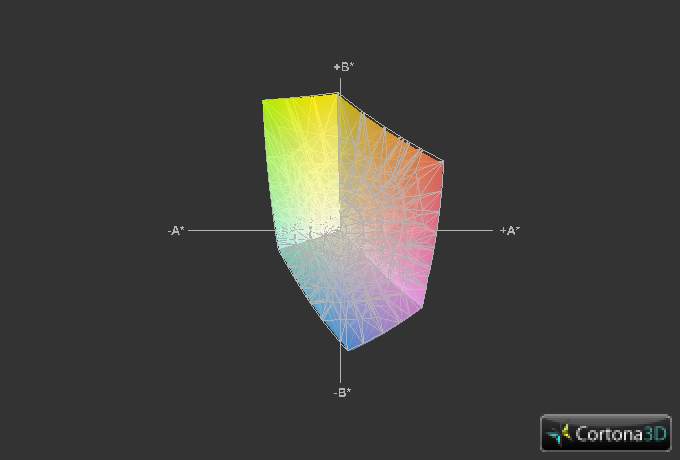 The Aspire V5-552PG’s 15.6-inch display panel is equipped with a thoroughly unimpressive HD resolution (1366 x 768 pixels), which factors out to just 100.5 pixes per inch (versus the 170+ PPI of many competing Ultrabooks). 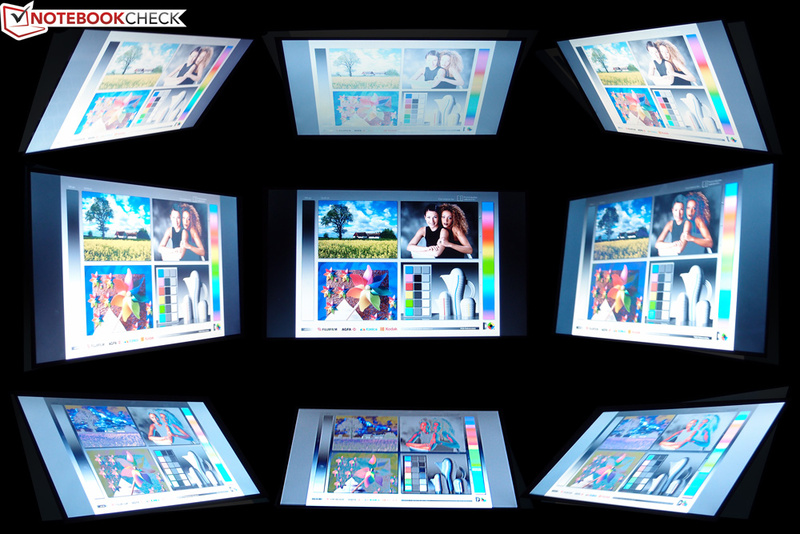 Like nearly all touchscreens, it’s also glossy, which normally mandates a good brightness and contrast value to keep things reasonable in brighter environments. Subjectively, however, this does not seem to be the case: the screen appears rather dim, with washed-out colors and greyish blacks. It’s also worth mentioning that we noticed a characteristic radial banding near the bottom-left of the panel (we were unable to capture this on camera, but it is persistent). 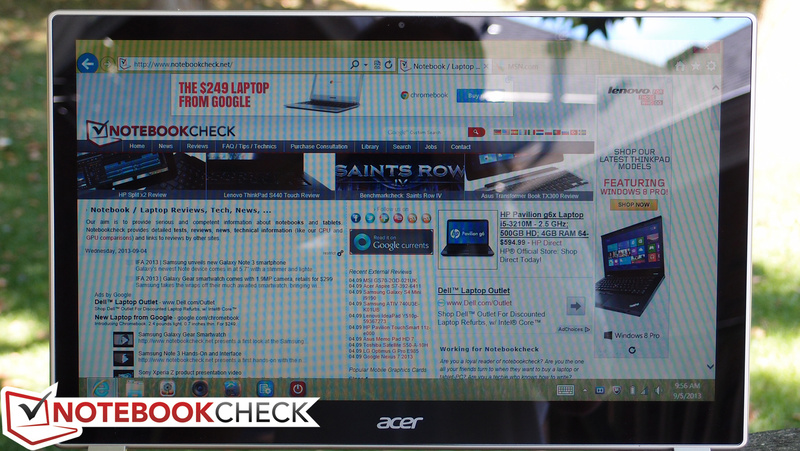 Acer offers much better display panels on its higher-priced models—so if you’re on the fence about which touchscreen notebook to choose, you should take the time to consider your options. As usual, our measurements validate our impressions. With an average brightness of just 193 cd/m², the V5-552PG’s panel is even slightly darker than that of the V7-582P (202 cd/m²). On the other hand, contrast is somewhat better at 388:1 thanks to a better black value of 0.501 (versus the V7’s 225:1 and .913, respectively). 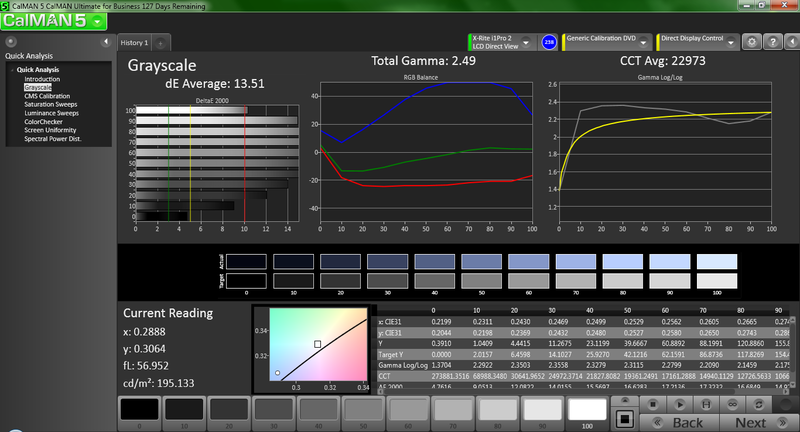 Brightness distribution is mostly consistent at 87%; there are no noticeable bright or dark spots on the screen. 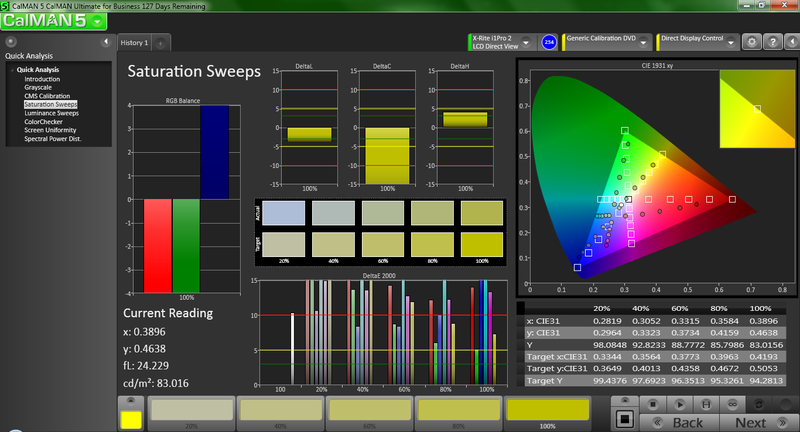 With just 55% sRGB coverage, not much has changed in the color accuracy department since the V7-582P we reviewed. 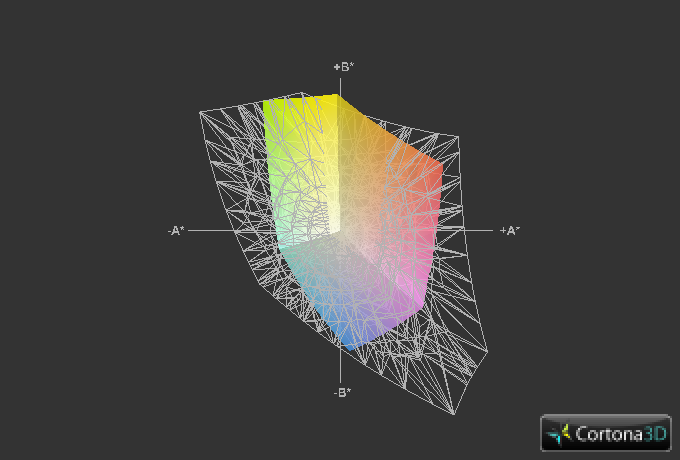 That’s a pretty poor figure if you’re looking to do any sort of color-accurate work, but not a dealbreaker otherwise. Throwing salt on the wound is CalMAN 5, which reiterates the panel’s penchant for drab color reproduction. 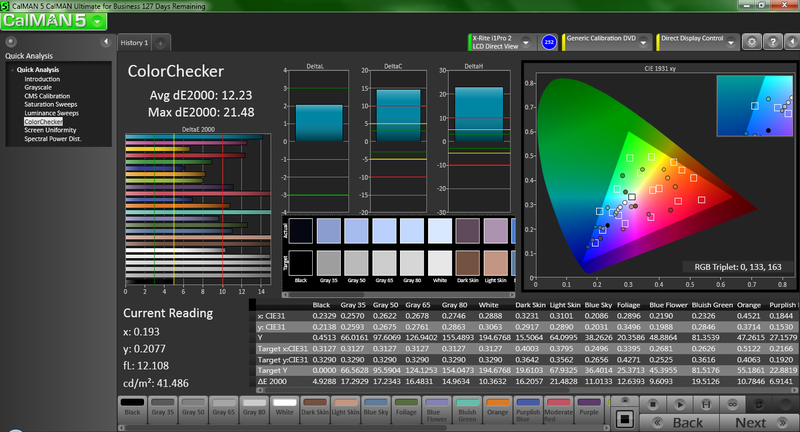 With an average DeltaE 2000 value of 12.23, the V5 simply isn’t made for color accuracy. Outdoors, the V5 struggles to produce a usable picture in most situations. This is primarily thanks to the weak brightness and glossy screen; the contrast ratio is slightly better than its predecessor, but it doesn’t help much in this situation. Still images don’t communicate this, but the wobbling of the screen during normal typing and tapping really rears its ugly head here, producing vibrating and undulating reflections that never seem to fully dissipate unless all bright sources of light are eliminated. In other words, the notebook needs to remain indoors. Lastly, we turn to the viewing angles (quite literally), where we find adequate results on the horizontal axis, but the usual washed-out colors and brightness inversions on the vertical axis after around the 30% mark. This is par for the course for low-grade TN display panels, and it won’t matter much in basic everyday use. 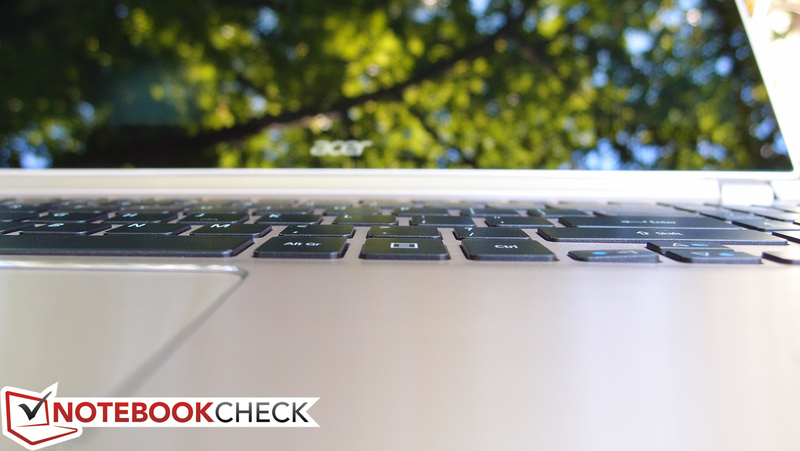 The Acer Aspire V5 series of notebooks features a wide range of chipsets and CPU options spanning both Intel and AMD selections. Narrowing things down to the V5-552 subseries, there are still nine different configurations left to choose from. 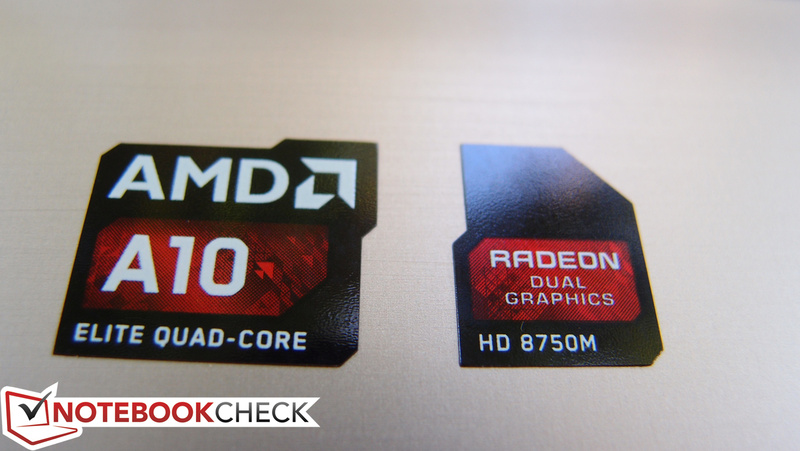 The least expensive of these (at $479 MSRP) comes configured with an AMD A8-5557M APU. Meanwhile, our review unit is the most expensive of the V5-552 models (at $799). 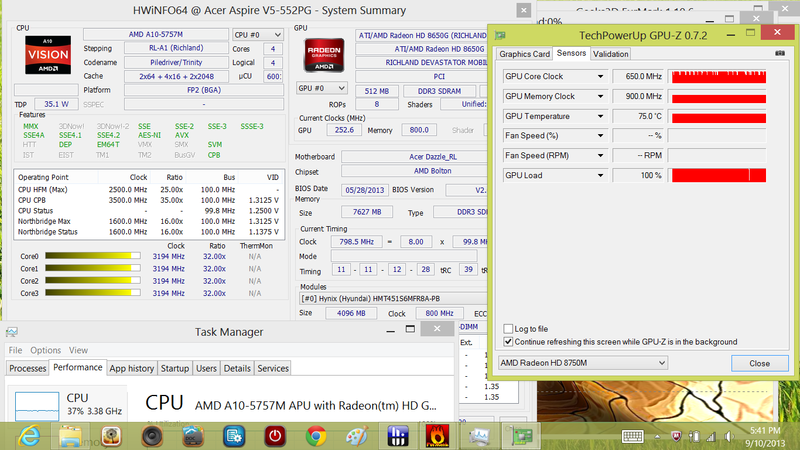 It features an AMD A10-5757M quad-core APU with a base clock rate of 2.5 GHz, but which is capable via Turbo Core of overclocking itself to 3.5 GHz when warranted and assuming the availability of thermal headroom. This is a 35 W TDP APU—or, in other words, a standard-voltage model. 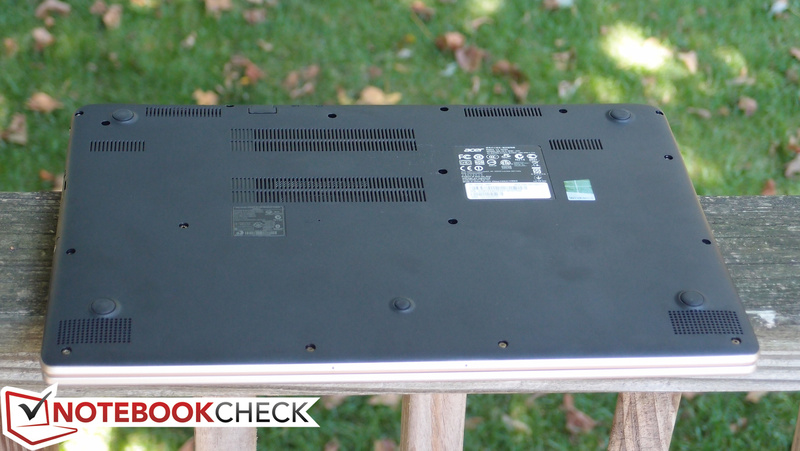 In terms of synthetic benchmarks compared to other similarly-equipped notebooks, we haven’t yet had the privilege of testing any other models packing an A10-5757M. Regardless, our benchmark results suggest adequate performance for most users, even if it won’t turn any heads. The only unfortunate part about it is that many modern ULV CPUs from Intel compete with or even far exceed the A10-5757M’s performance, and they do so at roughly half the TDP. 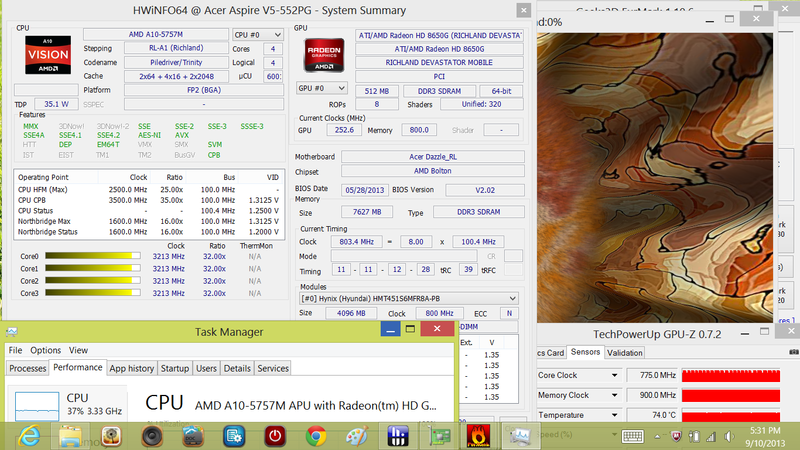 As for memory, the V5-552PG-X809 features 8 GB DDR3 1600 MHz RAM (2 DIMM), which should be plenty for the average user. As with the other models in the Aspire V line, 4 GB of this total is soldered to the motherboard, which means the system only supports up to 12 GB total. To check whether performance varied when running only on battery power, we performed a subsequent run of 3DMark 11 unplugged. 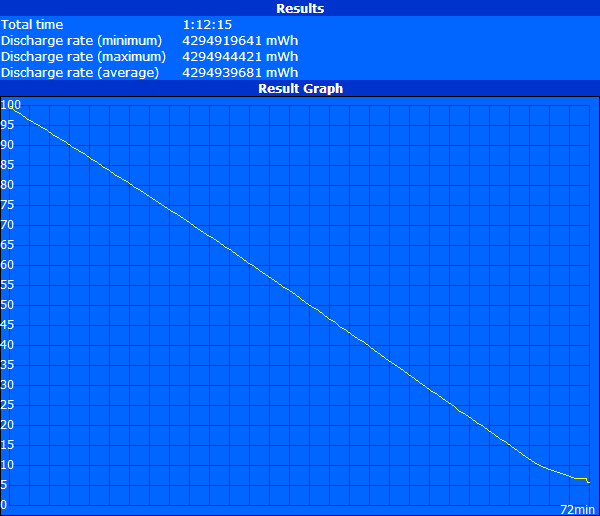 The result (just 1443) was 43% below that of the performance we recorded while on AC power. Subsequent runs confirmed this limitation. 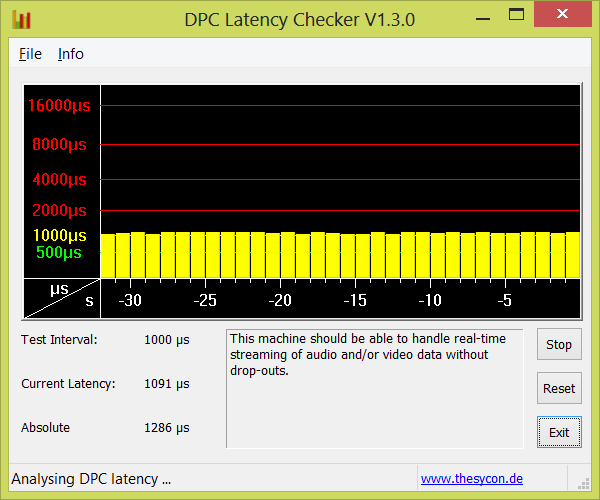 Lastly, we use DPC Latency Checker to assess a system’s ability to stream real-time audio and video. Here, we found no issues. 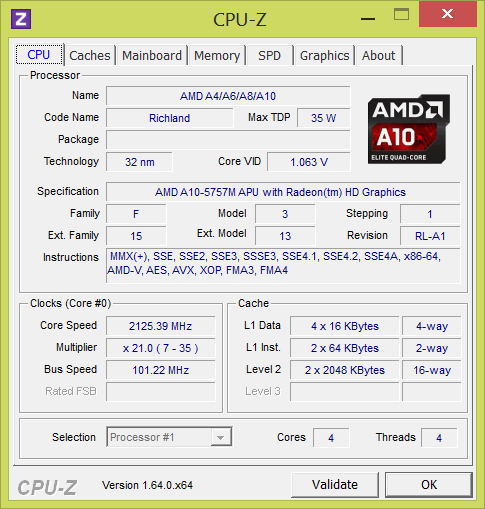 Results vary widely between benchmarks, but the V5-552PG’s AMD A10-5757M APU seems most comparable to its predecessor, the A10-4600M. 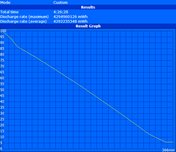 Results are nearly identical across most CPU scores, varying slightly within reason. Another close comparison in many cases (to better place things in perspective across manufacturer boundaries) is the Intel i3-2328M CPU, which falls within a few percentage points on the Cinebench measurements, though it’s considerably faster than the A10 in Super Pi and wPrime. We use PCMark to help assess general system performance. 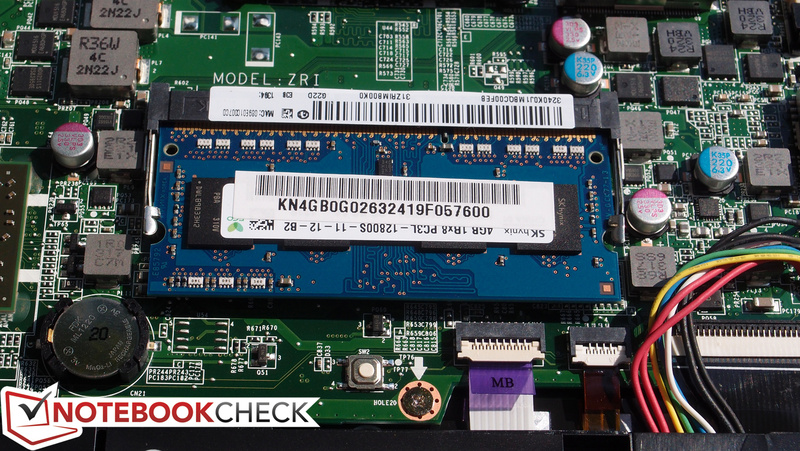 Since the V5-552PG features nothing more than a standard mechanical hard drive, we can’t expect it to post scores comparable to modern Ultrabooks equipped with solid-state storage (whether purely or as a supplement to a mechanical device). Still, the PCMark 7 result of just 2051 is a bit disappointing. The system fortunately feels quick enough at most times. 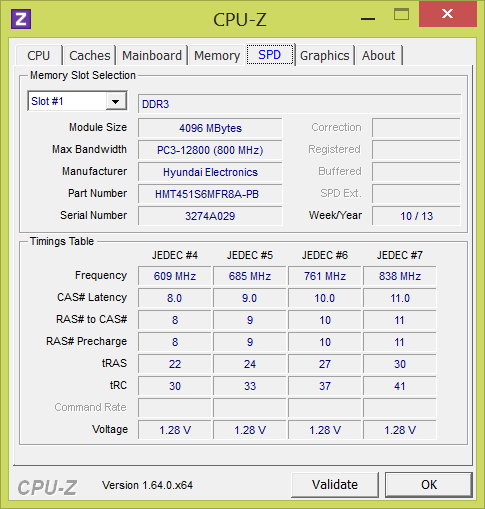 PCMark Vantage offers an equally average score of 5143 points. 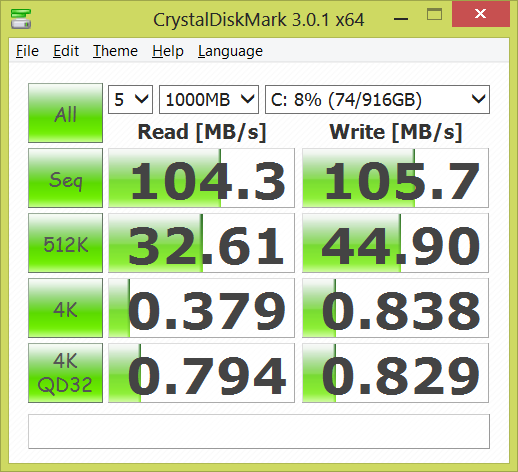 For purposes of comparison, Ultrabooks featuring SSDs easily top the 3500 mark in PCMark 7, and usually score much higher. 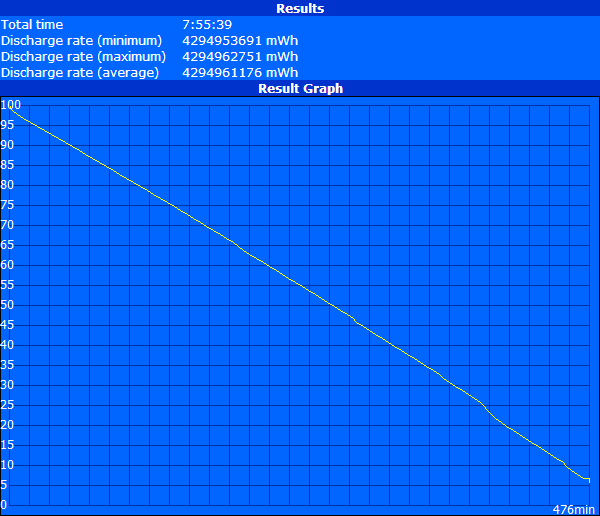 Even the Aspire V7-582P-6673 we reviewed last month (which also features a 5400 RPM drive, but paired with a 20 GD SSD cache drive) manages a score of 3841, far better than that of the V5-552PG. 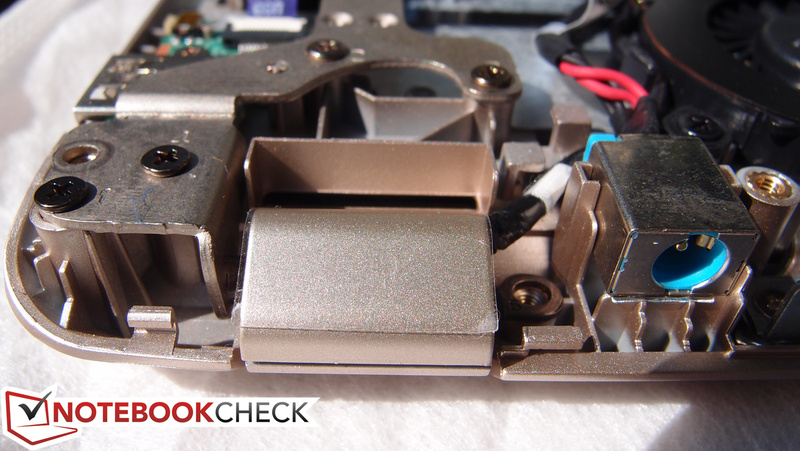 Specifically, the drive found in our V5-552PG review unit was a Western Digital Slim WD10SPCX 1 TB 5400 RPM drive, which is incidentally an extremely fast drive for its spindle speed. It’s also the first 1 TB 7 mm height drive from Western Digital (if you ever choose to replace it, you’ll need to go back with another 7 mm drive to fit it in the bay). 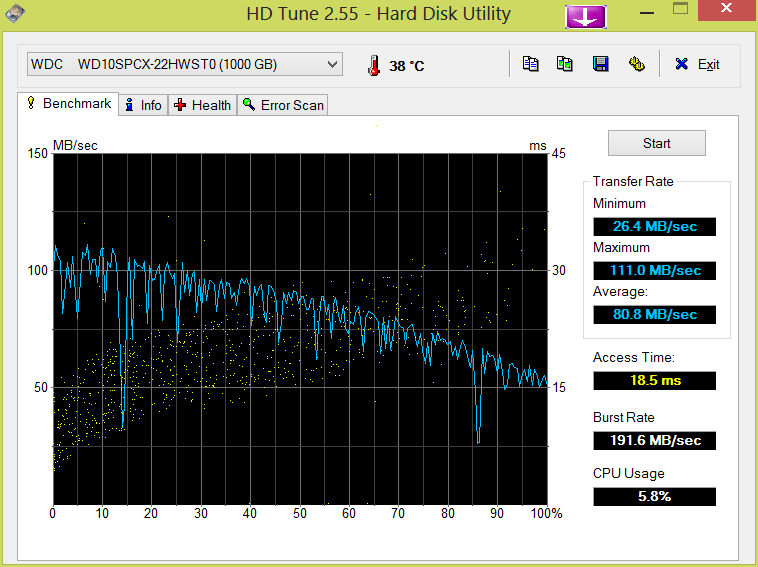 HD Tune reports a transfer rate average of 80.8 MB/s, which is very good for a 5400 RPM drive. For all its compromises, this is where the Aspire V5-552PG-X809 really ought to shine. 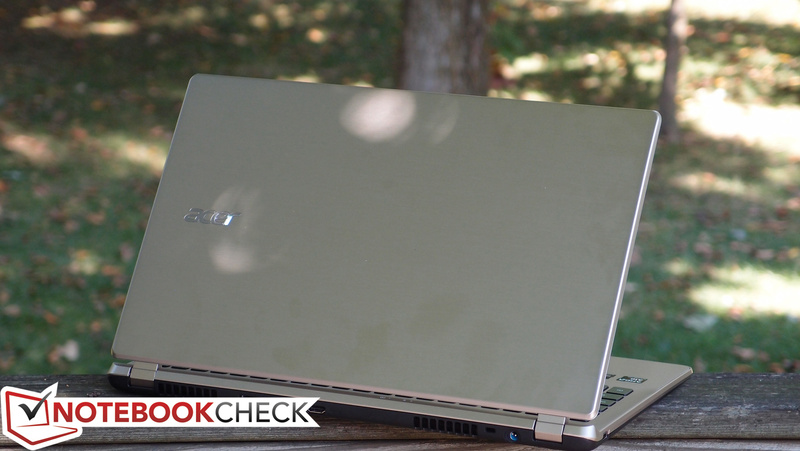 Featuring AMD Radeon HD 8650G + 8750M dedicated Dual Graphics with 2 GB of dedicated memory, it’s quite capable graphically for a notebook of its size. Our synthetic benchmarks confirm this, with scores an order of magnitude higher than that of comparable integrated graphics. Posting results of 2515 and 8173 in 3DMark 11 and 06 (respectively), the V5-552PG promises perhaps twice the performance of an Intel HD Graphics 5000 setup; there’s really no comparison. As for competing notebooks featuring the same GPU, the V5-552PG's Dual Graphics technically separate it from the other 8750M-equipped models. Consequently, all GPU performance scores are far above the others, with roughly 50—90% better scores in 3DMark 11 GPU versus the Samsung Series 5 530U4E-S02DE, Acer Aspire E1-572G, and Dell Inspiron 15-3521-0620, and closer to 20% higher results in 3DMark Vantage GPU. Tossing in the CPU and the rest of the package provides a bit more drag, but results are still excellent with 30—66% better scores in 3DMark 11 overall. 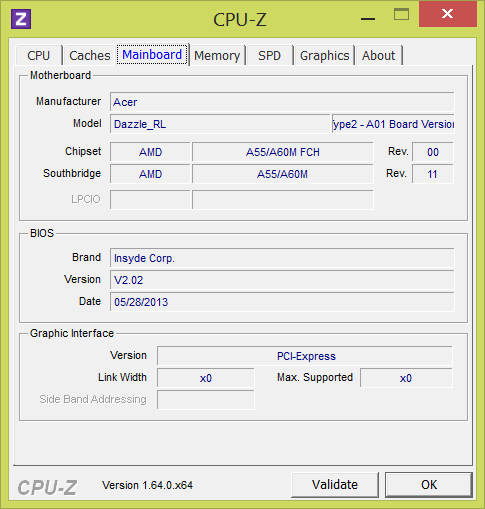 The previously-reviewed V7-582P-6673’s integrated Intel HD Graphics 4400 can’t hold a candle (scoring just 6204 and 964 in 3DMark 06 and 11, respectively). 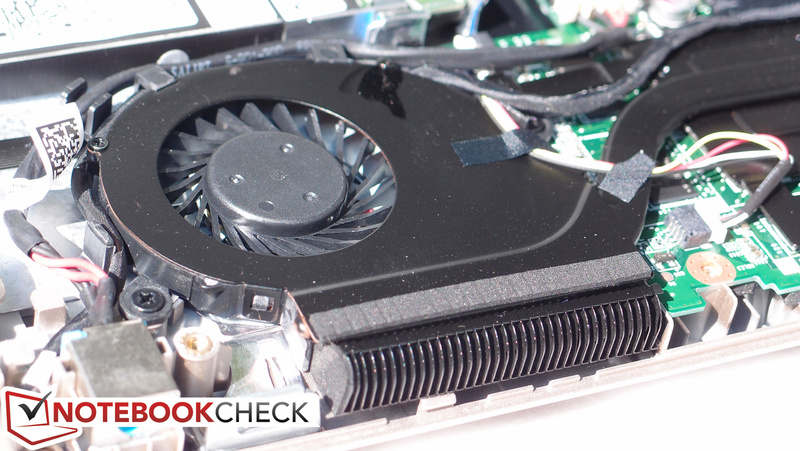 When we turn to our actual gaming benchmarks, those findings hold true. In Diablo III, on High settings and 1366x768 resolution, we were able to achieve an average of 55.8 frames per second (V7-582P: just 35). Meanwhile, our StarCraft 2 benchmark results produced 35 frames per second, which is still considerably better than the V7’s 24. The bottom line is that the V5-552PG ought to be able to handle some moderate gaming fairly well—provided it’s plugged in, of course (as we mentioned above). 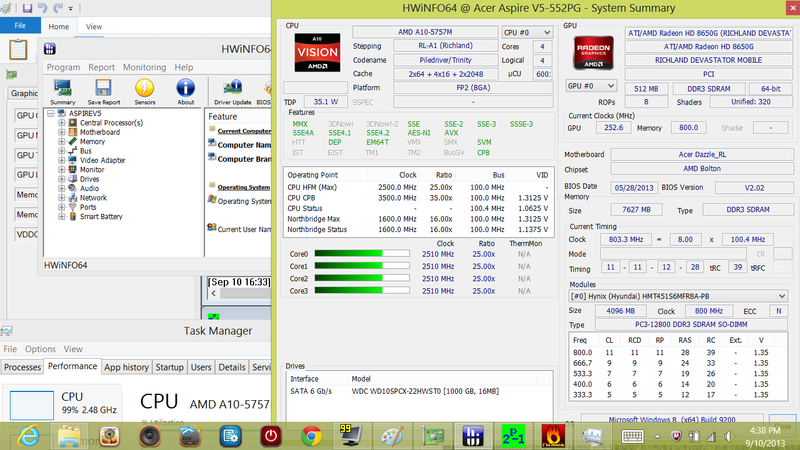 While idle, the V5-552PG is nearly silent at just 32.6 dB(A). Add a little stress to the equation and things quickly become noticeable at 37.3 dB(A), and eventually topping out at an impossible-to-ignore 48 dB(A). Interestingly, even in spite of the inclusion of a dedicated GPU, not much has changed here since the V7-582P-6673, which yielded measurements of 36.6 dB(A) and 45.9 dB(A)—not much lower. Things are different in the temperature department, however, where the V5-552PG really pushes boundaries of comfort. 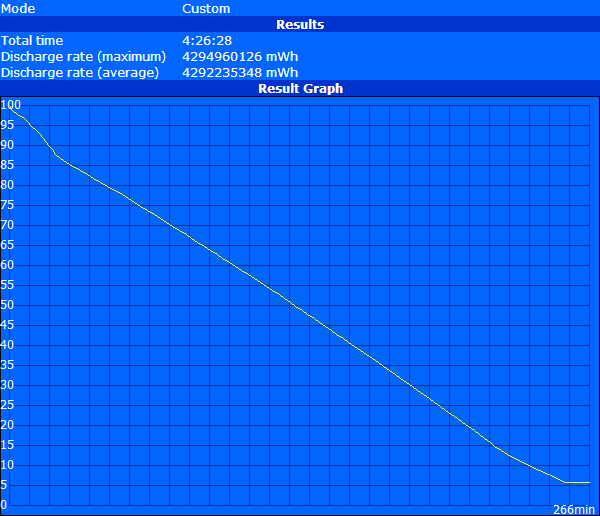 Under load, the average temperature of the bottom of the unit is 41.3 °C, nearly 6 °C warmer than that of the V7-582P. Our maximum reading (in the rear center of the unit) was a hot 57.4 °C, over 13 °C hotter than the V7. The notebook remains warm even while idle in fact; we recorded uncomfortable temperatures on the bottom of the unit maxing out at 44.6 °C even without any load applied. Fortunately, even when things get warm, it’s normally confined to the rear of the unit. The palm rest remains comfortable (at just 32 °C) even under load, as do the left and right sides of the keyboard. This means that the notebook is really only uncomfortable if resting on the lap under these conditions. The only unfortunate side note is that, since idle temperatures are notably higher than usual, the notebook is really never all that comfortable on the lap. 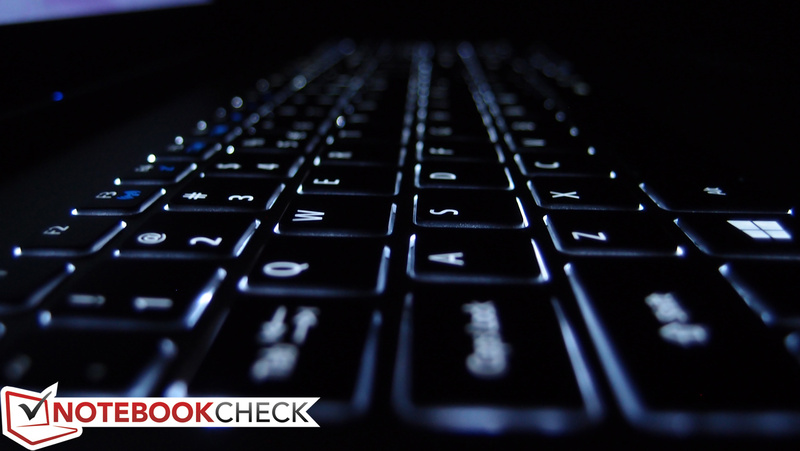 We subject every system to a stress test at Notebookcheck to assess its ability to handle heavy load without throttling. 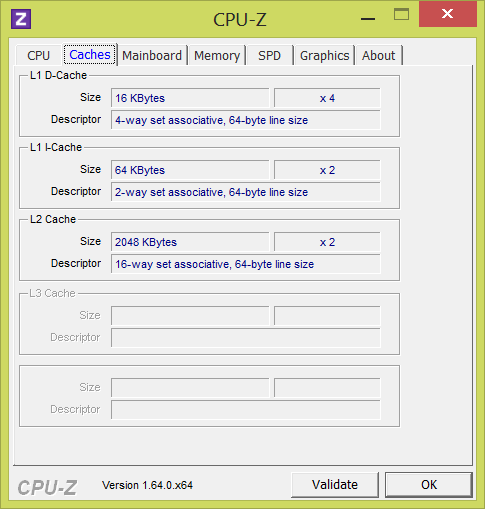 Under full CPU load, the CPU’s clock speed remained locked at 2510 MHz (the base clock rate) from the start, never budging. Although Turbo Core doesn’t appear to be benefiting the system at all here, this still doesn’t qualify as throttling as long as the frequencies don’t drop below the base rate. 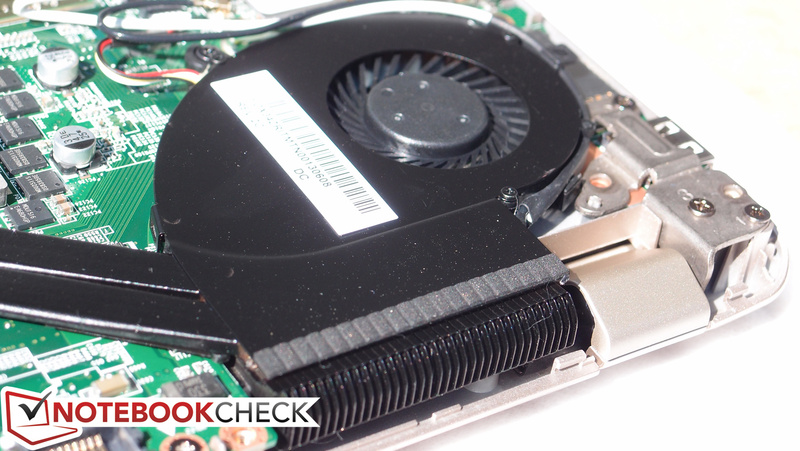 Under full GPU stress, we see Turbo Core kicking in, ratcheting the CPU up to 3.2 GHz, while the GPU clock rate hovered around the 775 MHz mark. 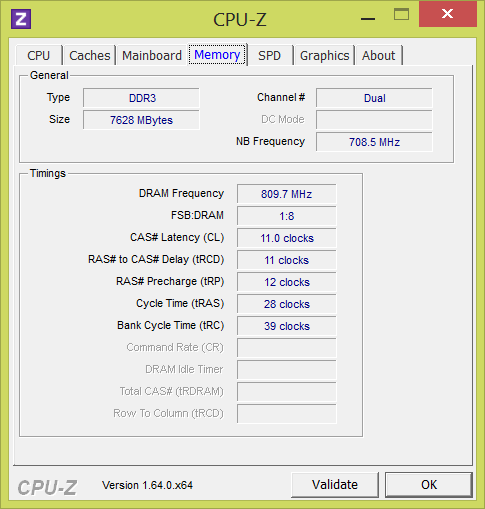 Under full system stress, we witnessed clock rates of 3.2 GHz for the CPU and 650 MHz for the GPU. 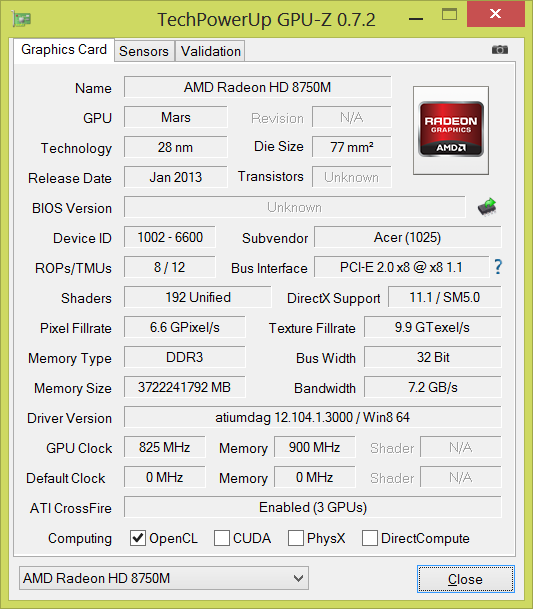 To confirm that these limitations should not affect the notebook under normal usage, we performed another run of 3DMark 11 directly after subjecting the system to an hour of 100% stress. The resulting score of 2589 reassures us that there is nothing to worry about. Congruent with our experience reviewing other related Aspire V models, the four bottom-mounted speakers on the Aspire V5-552PG are all surprisingly capable, producing more than adequate volume without distortion, and even managing a reasonable reproduction of low frequencies. Each of the two speaker cutouts on the bottom front of the notebook features two drivers, providing a rich and dynamic sound. 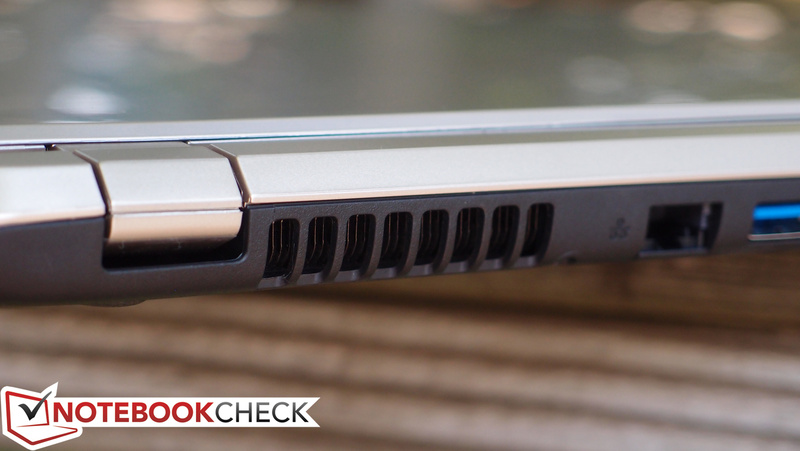 The speakers perform especially well when the notebook is resting on a hard surface. The most recent Aspire V7 and Aspire V5 models that we’ve reviewed both excelled in the realm of battery life—especially the Aspire V5-573G, which managed over 7 hours of web browsing time thanks to its Haswell chipset and 53 Wh battery; and that’s in spite of its dedicated graphics, too (courtesy of nVidia Optimus). 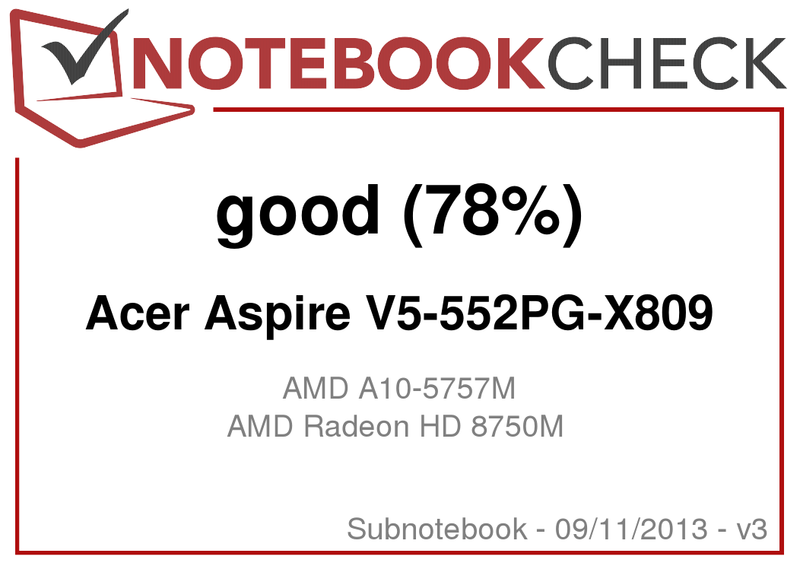 The Aspire V5-552PG-X809 can’t claim those same strengths. Instead, it managed just 7 hours and 55 minutes in our minimal load test (Power Saver profile, brightness at minimum, all wireless radios off, Battery Eater Reader’s Test), and a meager 1 hour and 12 minutes in the maximal load test (High Performance profile, brightness at maximum, all wireless radios enabled, Battery Eater Classic Test). The most interesting result is always our Real-World Test, which involves surfing with Wi-Fi enabled at medium brightness under the Balanced power profile. Here, we recorded only 4 hours and 26 minutes before the notebook shut down—which is okay, but certainly not stellar. 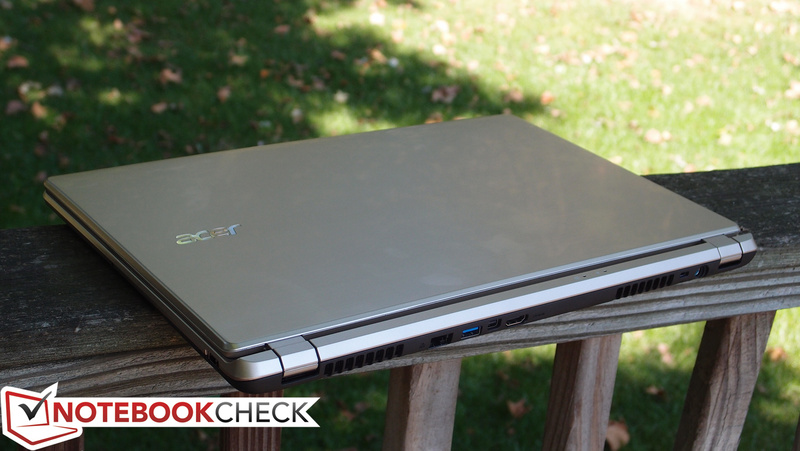 The Acer Aspire V5-552PG-X809 looks very similar to its brethren, with a nearly identical case and many of the same parts that are used in the higher-end iterations of the series. 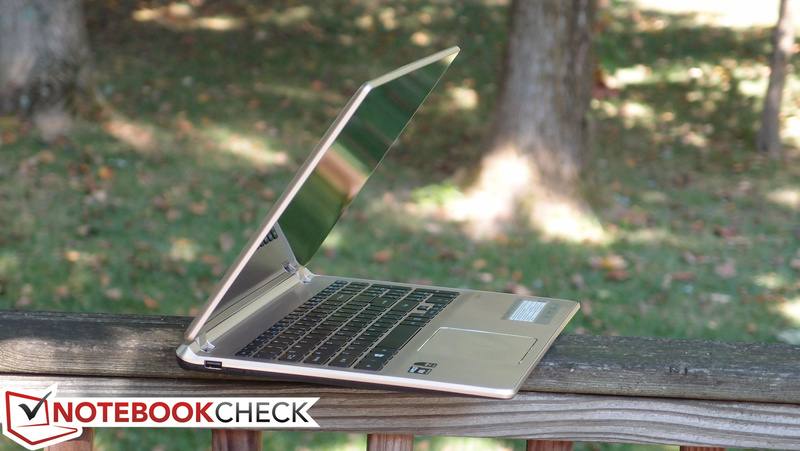 We still like the look of the notebook, and we appreciate the accurate touchscreen and surprisingly good speakers. But the difference between this and the other models we’ve reviewed—embodied by its AMD A10 APU and capable GPU—lies in its balance between battery life, application performance, and graphical prowess. It’s not that this isn’t a competent PC; on the contrary, it can handle many modern games on medium settings, which is nothing if not impressive given its relatively small size. The problem is that this is essentially the only area where the V5-552PG really sets itself apart from the competition—meaning nothing else it offers is really all that impressive. The keyboard, while backlit, is middling at best, the display is thoroughly bland, the hinges tend to bounce under the slightest bit of vibration (such as during typing or tapping), and the battery life is nothing to write home about. In short, this notebook is nothing special. 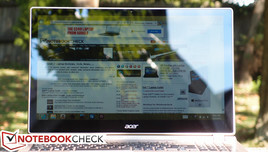 While it wouldn’t make a poor choice at the right price, at $799, there are better options available from Acer even in the same lineup. Take a look at our recently-reviewed Aspire V7-582P-6673 for one such option (for just $50 more), or bump the price up a couple hundred more dollars and you’ll even score a (great) 1080p screen to go with it. The V5-552PG has a number of positive qualities, but given the competition, there’s just too many other solid options to be able to wholeheartedly recommend it. 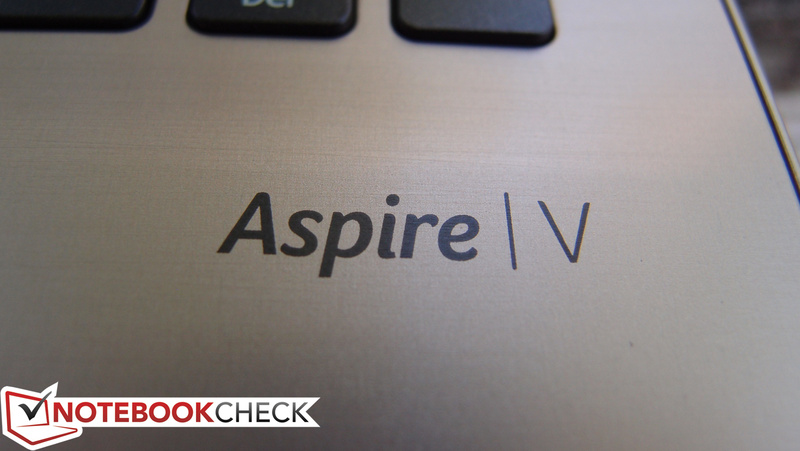 ...to the other Aspire V models we've reviewed. The case is a blend of plastic and metal. ...accompanies an equally large power adapter. Backlighting is always a nice touch.